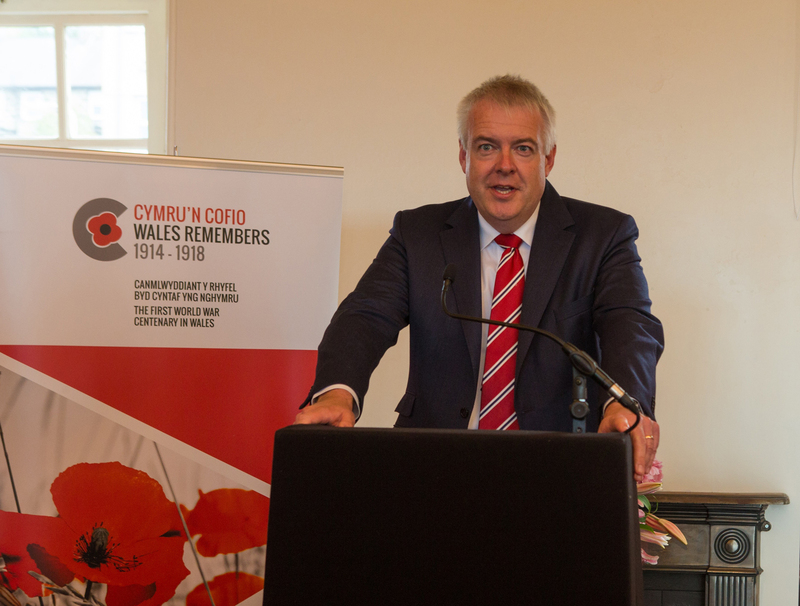 The First Minister of Wales Carwyn Jones will today formally open the Welsh at Gallipoli exhibition which is part of the Cymru’n Cofio Wales Remembers 1914-1918 Programme. The exhibition, which is initially located at Maen Alaw Community Centre before moving on to Penmaenmawr Museum on the 12th August, has been developed by Mrs Anne Pedley, a trustee of the Royal Welch Fusiliers Museum. It tells the story of the Welsh at Gallipoli and the impact the conflict had on life in Wales and its communities. The exhibition focuses on telling the story of the Penmaenmawr ‘Quarry Boys’ who took part in the campaign and were part of the ‘Pals’ battalion who landed at Suvla Bay. 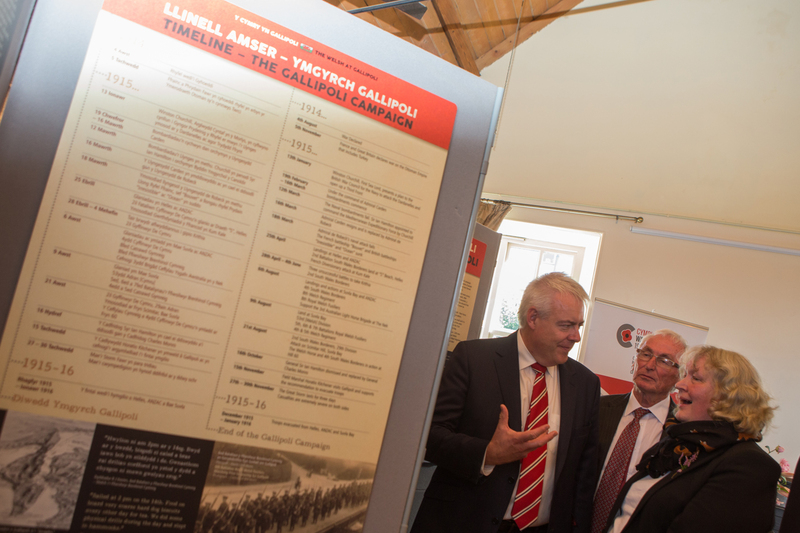 As the exhibition travels it will also relate the stories of men from other parts of Wales who fought at Gallipoli. Core elements of the exhibition will consist of bilingual travelling panels, accompanying digital material available on the People’s Collection Wales website, a commemorative brochure and educational materials. 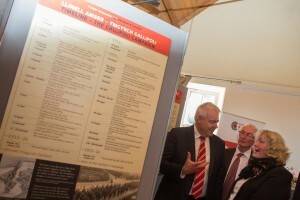 Following the exhibition’s stay in Penmaenmawr between 10 August and 11 September, it will move on to Ladywell House in Newtown (15 September – 8 October), the National Library of Wales in Aberystwyth (13 October – 3 November), The Regimental Museum of the Royal Welsh in Brecon (6 November – 29 November), Firing Line Museum at Cardiff Castle (7 December – 20 January) before ending at Gregynog Hall, Montgomeryshire (25 January – 26 February). First Minister of Wales Carwyn Jones said: “It’s a great honour for me to launch this fascinating and historic exhibition. “The centenary of the First World War is an important opportunity for us to reflect on the cost of war, and to remember the sacrifice and courage of all those involved, including those who took part in the Gallipoli Campaign. Prior to the launch of the exhibition, the First Minster will also attend a short Service of Remembrance at the Drill Hall next to Maen Alaw Community Centre and lay a wreath to commemorate the Quarry Boys of Penmaenmawr and all those who lost their lives at Gallipoli.